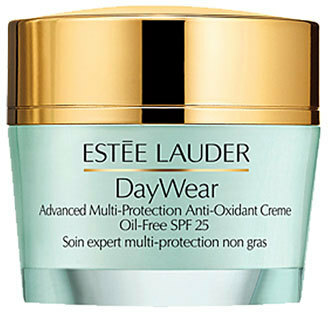 Beautifully Bombshell — Estee Lauder | DayWear Advanced Multi-Protection Anti-Oxident Creme | @FirstBlush Disclaimer: Posts May Contain Affiliate Links and Means I Will Earn Compensation for Your Clicks And/Or If You Make Purchases Via the Link. I needed to be an adult and use quality skincare that did my skin justice. I was, again, away at school and of the 3 makeup counters I worked at Estee had the best skincare! I love the smell! But more importantly, I love the feels of this moisturizer. What is even better is you don't need a lot so for the steep price tag, you an get plenty of coverage for day and night time application. It is intended for Normal/Comb Skin types and does not cause dryness or over-moisturizes the areas I don't need it to. Super lightweight! The only thing that pains me is the price tag but I usually purchase it when there is gift with purchase OR a gift set.